Sonic the Hedgehog was a must own series. The early games on the Sega Genesis were some of the best video games you could buy, but the last strong Sonic platform game was back in 1994. Since then they have been overall below average. 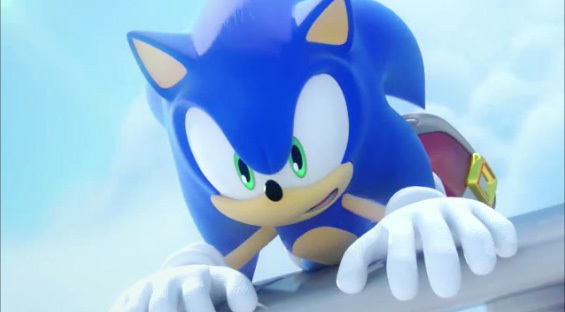 Then Sonic & All-Stars Racing Transformed came out and a sign of hope that maybe we will start to get some great games from Sega and our favorite blue hedgehog. 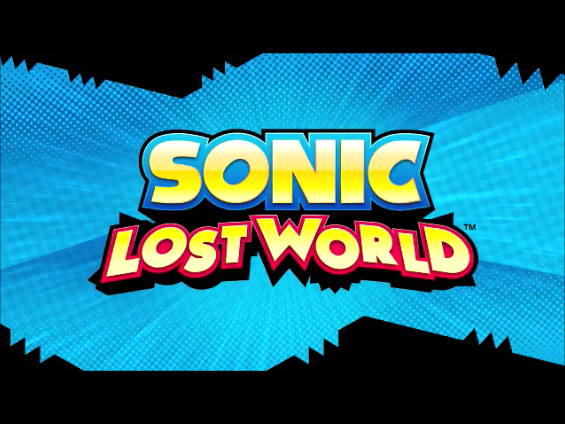 Sonic Lost Worlds is a Wii U exclusive that does some good things but we can’t say that Sonic is back even with some classic 2D platforming being a major part of the game. When we found out that there was going to be both 2D and 3D levels in this game we were looking forward reliving some old classic memories. Sonic Lost Levels has some good points, the 2D levels are fun, have great controls and feels like a modern Sonic retro game. 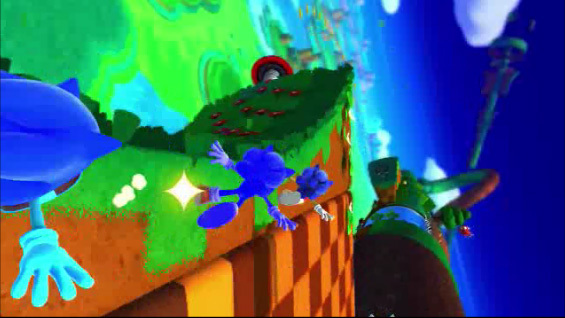 We did like the 2D platforming but they are missing the fast pace super-fast speed that the original 2D games had. The story is OK and did make us laugh but the dialog seemed to be rushed all the time. Boss battles are interesting and different but they are way too easy. There is the 2D and 3D platforming (sometimes you get to choose between a 2D or 3D level) but you get to do stuff like rail sliding too. There is also this quick attack where the game locks on a target and you attack suddenly. It works for this game and is accurate every time. The main problem we had was with the 3D elements. The controls are way to touchy, you barely tap the thumbstick and you go flying all over the place. This becomes worse when you factor in that you can fall of ledges all the time. You will find yourself dying a lot and once you run out of lives its game over. 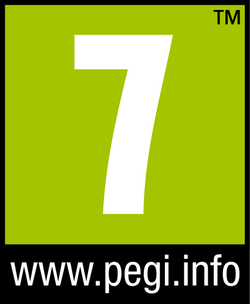 This seems so outdated when you compare games like Rayman Origins or Super Mario Bros Wii. There is always ways to either have enough lives to never run out or not have lives at all and you just keep trying. Plus, when you die it takes you way to far back in the level. The game needs to have more checkpoints. The water, ice and floating cloud levels are all bad. They are not unplayable but they are not any fun either, thankfully there are not many of them. The worst part is there are times where you have to use the gamepad to launch Sonic at things but if you do it at the wrong time you can’t hit or find the target and there is no way to back up and try again. At times we had to point the gamepad at the ceiling, it is stupid! We still love Sonic but the games have been mostly disappointing and this game is no exception. It took us around the 10 hour mark to go through the story and there is not a lot of extra stuff to do after defeating the game. Replay in low, it is a one and done game. You go through the story and you don’t really want to play it again. If you are going to buy it keep your price under the $25 dollar range. 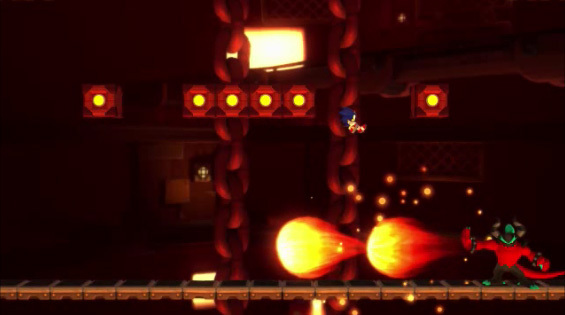 It does do so good things, the final level and the bosses are intense but we would rather still have a new version of the classic 2D Sonic we grew up with.